Hailing from Brooklyn by way of Tacoma, Washington, Widowspeak has developed impressively over the mere three years of its existence, two full-length albums, and a bunch of personnel changes. 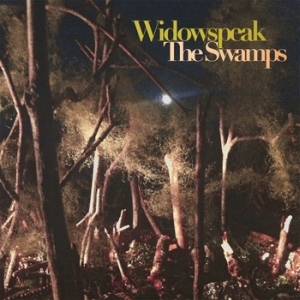 It was easy to dismiss the band’s first LP, 2011’s Widowspeak, as a collection of run-off-the-mill, post-punk-at-heart indie rock, but with each following release, the core duo of Molly Hamilton and Robert Earl Thomas invested more and more into the qualities that really worked on that album. By 2013, on track to releasing their third LP, it could be argued that no one does “acoustic shoegaze” better then these guys right now. But isn’t “acoustic shoegaze” an oxymoron? And what does it really mean? Simply that Widowspeak have been blowing up their folk and country influences through breathing, rugged instrumentation, at the same time heavily focusing on recreating the dreamy atmosphere bands such as Cocteau Twins were known for. The fact that they’re American plays a big part, too, for EP standout “True Believer” could be best described as a Sundays song with slide guitar. Ultimately, run-off-the-mill is not a word we could throw anywhere near Widowspeak anymore: they’re focused, imaginative, and in complete control of who they’ve chosen to be.